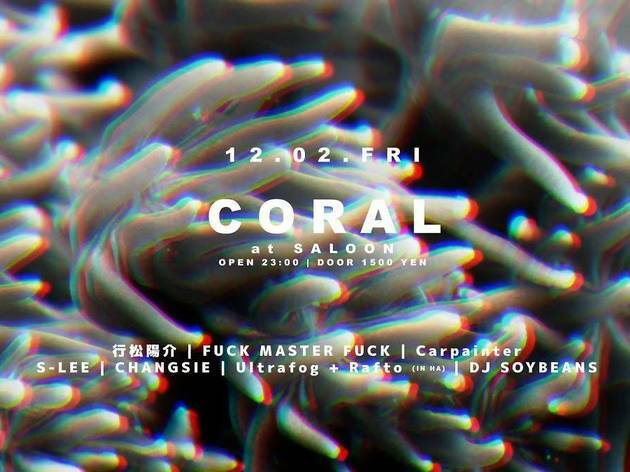 Get a full night's worth of local techno, house and other electronic tunes at Saloon's Coral party, which binds together the Tokyo and Osaka club scenes. 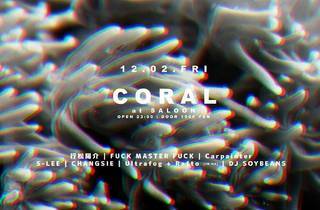 Although names like Yousuke Yukimatsu, Carpainter and DJ Soybeans might not ring a bell, we can guarantee that adventurous tune fans will find something to their liking here. And if you're going to the Thomas Brinkmann gig at Unit upstairs earlier in the evening, bring your ticket stub for a ¥500 cover charge discount.